EngSci student Quinton Lowe is one of two U of T recipients of this year’s Schulich Leaders Scholarship at the University of Toronto (Photo: Jacklyn Atlas). 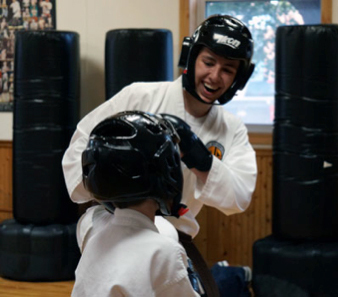 First-year engineering student Quinton Lowe (EngSci 1T8) holds a black belt in karate, is a political advocate and is passionate about engineering. 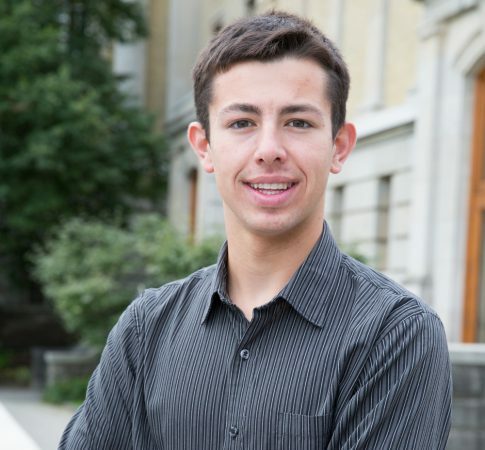 Now, he’s also one of two U of T students to receive the Schulich Leaders Scholarship, a prestigious $80,000 award started by business mogul and philanthropist Seymour Schulich. 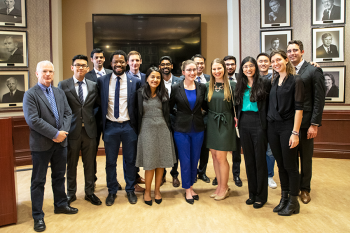 Supporting 40 students annually across Canada, the scholarship rewards students pursuing undergraduate degrees in STEM (science, technology, engineering and math) who have demonstrated significant leadership qualities. U of T’s Xarissa Thompson spoke with Lowe about the award and why he chose to study engineering at the University of Toronto. 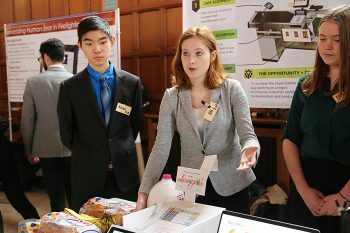 What drew you to the University of Toronto – and why STEM? I applied to the University of Toronto because I want the challenge and excitement of studying at the best engineering school in Canada. 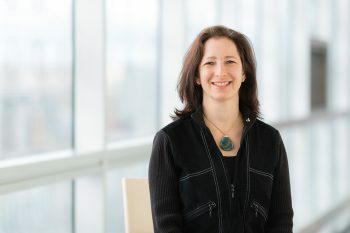 Top employers recognize the value of a U of T degree and I’ve heard news stories about the inventions and discoveries being made at this university. I also love Toronto and liked the idea of [living] downtown, where I could explore new things and have new experiences. My interest in STEM courses really began in grade 11, when my courses started to focus on the specific sciences. I took a physics course that I really enjoyed and started to feel a pull towards a career in science. How important are co-curricular activities and volunteer work? I am proud to have earned a black belt in karate. It took many years of hard work and dedication. A black belt’s duty is to help others learn and master the art, so I have assisted a weekly class where I led the warm-up and basics and individually assisted students when they were struggling. My passion for politics began when I was selected to serve a term of duty as a legislative page. I [stayed with] an aunt who lived in Toronto and I spent a month of the school year at Queen’s Park. We would fetch glasses of water, make photocopies or run messages for the MPPs. I hadn’t known much about how politics worked previously and this gave me a first-hand view of the process. At age 14, I decided to get involved with the local riding associations and volunteered hundreds of hours in preparation for both federal and provincial elections. I found it very rewarding serving the community through canvassing, helping disabled and elderly citizens, and acting as an election scrutineer. I have remained heavily involved in politics and am the youngest person ever to be elected to both the federal and provincial conservative riding associations’ board of directors. An engineering degree is the best possible undergraduate degree for someone with my interests to obtain. Ultimately I would like to earn a graduate degree. I may end up working in the engineering field, but law and politics are also possibilities.